The device was shown by Samsung at Mobile World Congress, but was kept somewhat under the radar as they apparently were gauging what kinds of reactions it got before deciding to proceed. Whether they have chosen wisely by moving ahead is certainly up for debate. 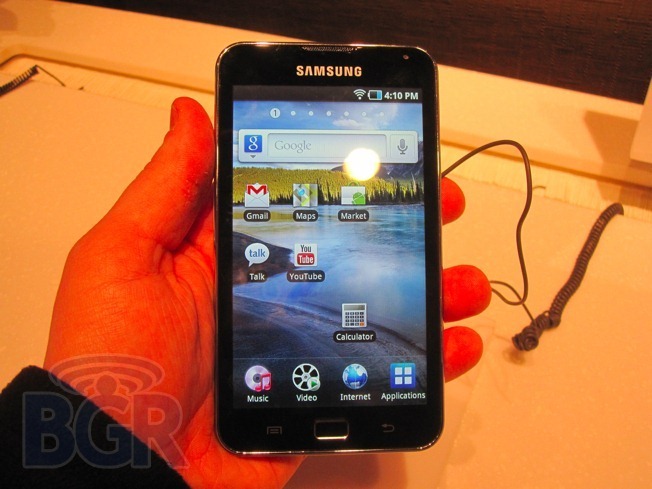 I hardly see a need for someone who already has an Android phone to also have a Galaxy Player. When you add tablets into the mix, the thought of adding another Android device becomes even more absurd. Nonetheless, there could certainly be a market for this, and we like to see customers offered Android choices where they previously only had iOS options. No price or release date have been announced. We know most of our readers sport Android phones - do you have any interest in the Galaxy Player? Do you see anyone having much of an interest in it? Let us know below.